Computer Programs for Civil and Environmental Engineers. Calculate the FDOT stormwater critical event for your drainage connection to DOT right of way with this easy to use program. 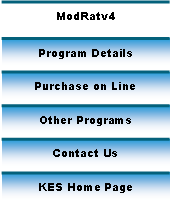 ModRatv4 is the Windows version of ModRatc (Knowles Engineering version of FDOT Modified Rational Method). This program uses the Modified Rational Method as outlined in FDOT publication “Handbook for Drainage Connection Permit”, which outlines the use of Chapter 14-86, F.A.C. The program uses the FDOT Intensity-Duration-Frequency Curves, the Suwannee River Water Management District (SWRMD) Rainfall Distribution Curves, and FDOT total rainfall values to find the critical event (peak stage and peak discharge rate) for stormwater ponds for proposed developments. Click Here to Download ModRatV4 Demo.